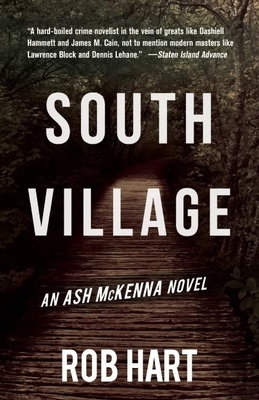 Ash McKenna used to be an amateur P.I.--emphasis on 'amateur'. Despite good intentions, he made a mess of his life in New York, so tried to build a new one in Portland. But after a traumatic turn of events, he ends up on a commune in the Georgia woods, binge-drinking cheap whiskey and waiting for his passport to flee the country and nightmares that have followed him. Then a man is found dead. Known only as 'Crusty Pete', the commune dweller is sprawled in the dirt, having fallen from a high rope bridge. It's written off as an accident, but Ash suspects something more sinister. As he looks into Pete's death, Ash is shocked to find the supposedly peaceful community houses a rogue faction preparing to commit an unspeakable act of violence. Ash has to make a choice: run, or put his skills to use and try to stop them. But he doesn't know who to trust, or where the faction is planning to strike. As he struggles to put a stop to the violence, while keeping his own demons at bay, Ash finds that it's only a matter of time before one or the other puts him down for good. Rob Hart is author of New Yorked and City of Rose, featuring Ash McKenna. He is the associate publisher at MysteriousPress.com and the class director at LitReactor. Previously, he has been a political reporter, the communications director for a politician, and a commissioner for the city of New York. Rob is the author of The Last Safe Place: A Zombie Novella, and his short stories have appeared in publications like Thuglit, NEEDLE, Shotgun Honey, All Due Respect, and Helix Literary Magazine. He lives in New York City. Visit him online at robwhart.com or at @robwhart.